With RebelBetting you turn gambling into a solid investment method by using sports arbitrage. This lets you bet on both teams in a match and by covering all possible outcomes you will be guaranteed a profit. Our users are regularly making profits of 10% every month, with little risk. Compare this to other forms of investing, and you’ll understand our happy customers. RebelBetting is the worlds' most popular sports arbitrage service and over 65.000 users have signed up since 2009. A comprehensive e-book is included that will teach you everything you need to know to get started and becoming a profitable arbitrage trader. Thousands of sports arbitrage situations any given moment. 55 bookmakers, 9 sports, 9 unique markets plus thousands of "cross-market" arbitrages. Automation. 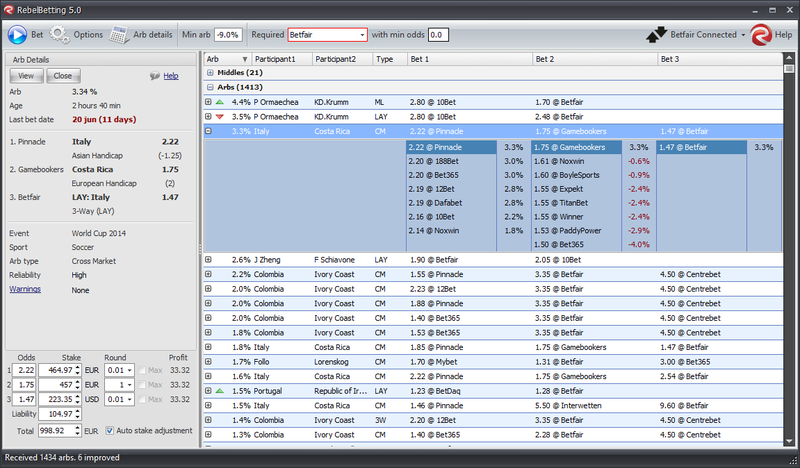 AutoLogin and AutoSurf features makes it possible to place a bet within seconds on most bookmakers. 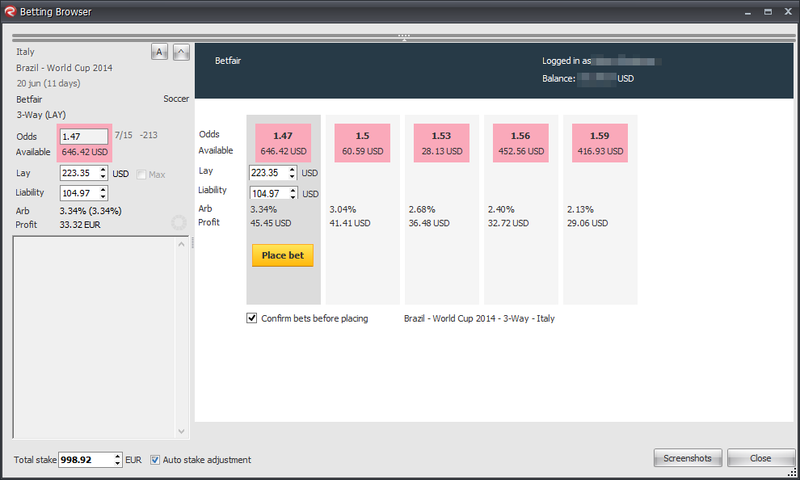 Complete Betfair integration. Odds updated every second, one-click betting. Arbitrages are constantly updated, making sure you never miss out on a profitable opportunity. Fully customizable alerts and filters. 40 page free e-book included. RebelBetting can also successfully be used for Matched Betting and bonus hunting. High recurring profits with low risk. No luck required. Turn gambling into investing!